Our professional staff can assist you in planning your event and supervising set up, staging and striking. We have vast experience with myriad venues and our soundmen are efficient, courteous and knowledgeable. 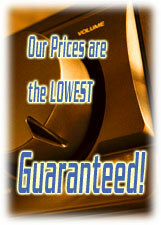 From a microphone cable to a full sound system - simply call our conveniently located warehouse and schedule a pickup. We have an extensive inventory of the finest instruments, amplifiers and computer gear. If there's something you require that we don't have on hand we will do the legwork of obtaining it for you. ...and MORE!!! If it's not listed, call our warehouse and ask! From gels and follow spots to the latest computerized lighting effects, Sound Check Audio has what you need to make your event shine. Various projectors and screen sizes available. IF IT'S NOT LISTED, CALL OUR WAREHOUSE AND ASK!